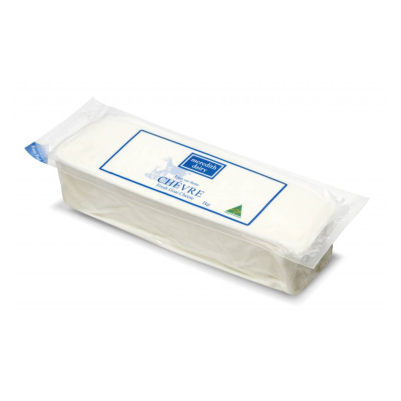 Meredith Dairy fresh goat's cheese or chevre, is the most versitile of all cheeses. Spread on crackers, use on pizzas, with pasta, salads, baked vegetables or tarts. 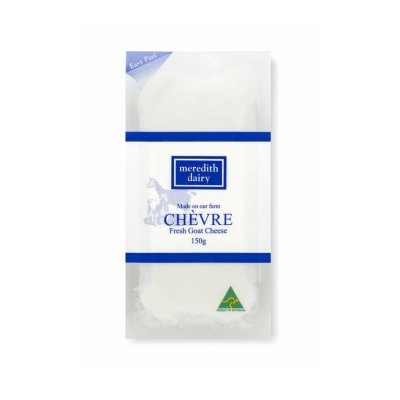 The award winning fresh chevre from Meredith Dairy is a love letter to our beautiful goat milk. 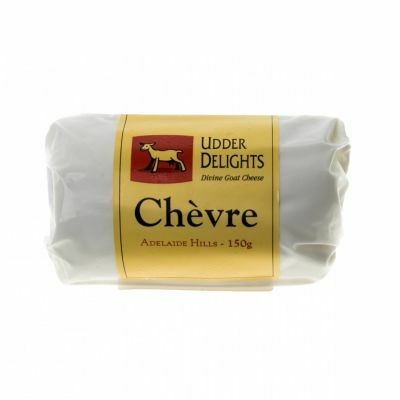 This cheese, best showcases the delicate taste profile of fresh goat milk, and is a great match with strong flavours such as truffle, Herbs, and in season fruit. Often used as an ingredient rather than a hero cheese board cheese.